Note from Jane: Today’s guest post is by author Jay Swanson (@jayonaboat). Cover art will be the unifying example through this post, but let’s consider this “5 Steps to Commissioning Great Art” because, if you’re like me, perhaps cover art is only the beginning. When I started developing Into the Nanten, the world’s first real-time fantasy blog, I knew that artwork would be an intrinsic component. Thankfully by this point I had a solid track record with some amazing talent, but the road there wasn’t without its bumps. I can’t honestly say that I handled every transaction with the grace and poise I should have possessed along the way. If you follow these five steps to commissioning great cover art, you’ll not only wind up with a piece of art of which you can be proud, but you’ll also keep yourself from damaging relationships that you will want to last you a lifetime. If you don’t have anything in mind, you’ll have no direction to give. This means you’ll wind up with something totally random. That might work for you, but it won’t resonate with your vision of the book, and the finished product may very well displease you once you have it. And you’ll still have to pay for it. Just because you do have something in mind doesn’t mean any artist can do it. Many illustrators and painters are versatile in their styles, but few can do everything, and all of them have their strengths and weaknesses. Knowing what you want keeps you from setting your artist up for failure. You might find your inspiration by doing the research. 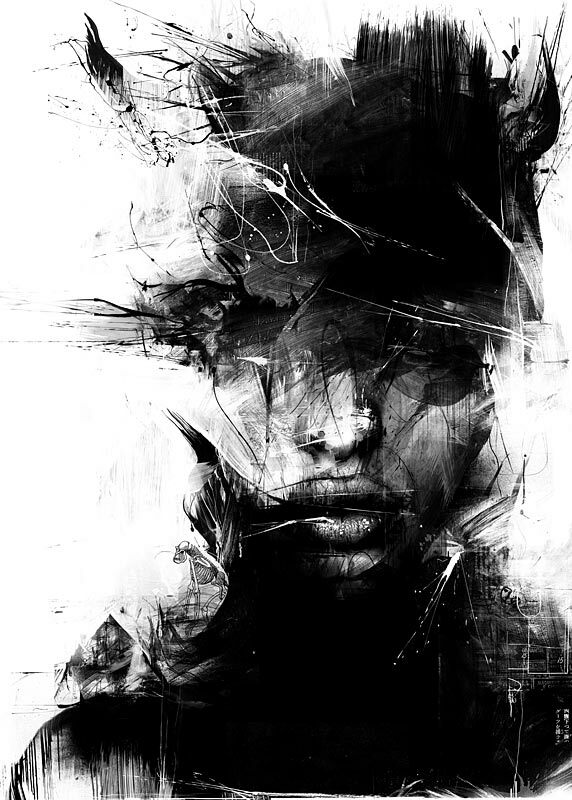 The cover of my fourth book, Dark Horse, (illustrated by the amazing Marie Bergeron) was actually inspired when I stumbled across a painting by an entirely different artist, Russ Mills. The fractured mess of his style and stark contrast of black on white spawned a storm of ideas that led me to what you now see in the cover. Once you know what you want, it hones you in on what you’re looking for stylistically. 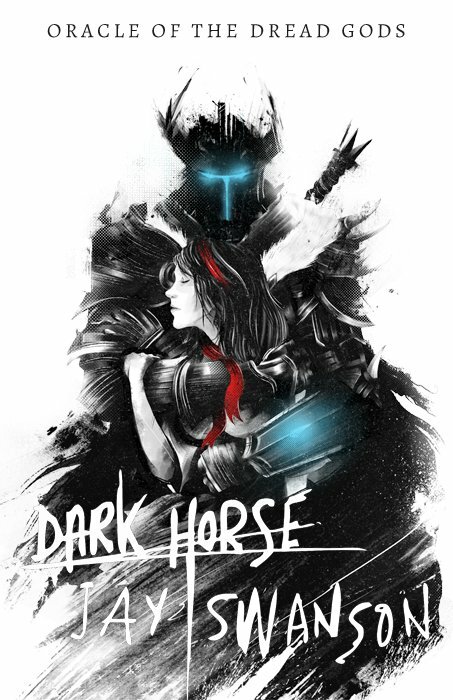 For Dark Horse I knew I wanted someone who could replicate Mills’s messy style—someone with a grasp of sharp contrasts and proper use of negative space. Marie stood out in that search, and she did not disappoint. This is the time to ask questions about what style you want. Do you want it to be clean? Photorealistic? Abstract? Knowing if there’s a lot of blood-spraying action or if you’re just trying to capture a quiet meadow with happy flowers affects everything. As for Nimit Malavia, the genius behind the illustrations for Into the Nanten, I knew from the first time I saw his art that I wanted to work with him on something massive. I was lucky enough to wrangle him into doing the cover for my third book, but it was his distinctive sketchbook style that I really wanted to pull into my world. As luck would have it, I would get the chance. Once you know what it is you want as far as style—and hopefully content—goes, it’s time to reach out to your artist. I suggest doing this in two phases. If you’re reaching out to more than one artist, tell them that, so there’s no confusion when they respond two weeks too late and you’ve already moved forward with someone else. If you can’t imagine any other artist in the world with whom you’d like to work, say so, but do it in the least stalker-creep way possible. Don’t explain the entirety of your project up front, don’t ask them to work for free, don’t assume they’re dying to work with you, and don’t expect them to read your book. Don’t be stingy on your budget; money is going to come up, and it’s going to determine whether your artist can work with you. They are running a business after all, so cut to the point and tell them what you can afford. Let them know you’d like to negotiate if you need to, but remember that you get what you pay for. Let’s say you hear back from an artist with whom you’d like to work and they tell you that they’re on board and can even work within the budget you set. Great. Now’s the time to inundate them with material. Wait wait wait. Take two steps back and hold on a second. This doesn’t mean you can send them a copy of your book and ask them to draw their own inspiration from their favorite part (unless you want to pay them for the time it takes to read your book). It also doesn’t mean that they need to know backstory, or about the world at large, or what kind of pie your protagonist prefers (unless they’re eating pie on the cover you have in mind—then by all means). Describe the scene with as much detail as you have in mind—at the very least, give them the details that matter. Hair/skin/eye color, the style of sword, the type of flowers in the meadow, or (if we’re writing romance novels here) the percentage of pec you want visible on your male love interest. I can draw a little, so that tends to be useful. 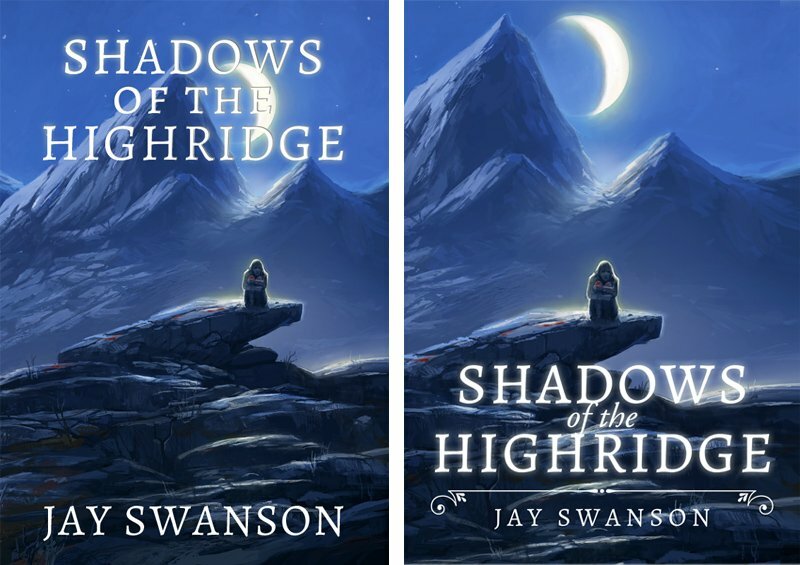 For my book Shadows of the Highridge, I knew I wanted a dark mountain scene with one of the protagonists huddled alone, scared, and bleeding on an isolated pile of rocks. The idea morphed over time, but you can see one of my early sketches here and how it was translated in the end. It wasn’t just the sketch that did it though. I clearly communicated what I wanted in the lighting (two moons), the colors, and the atmosphere as well. Which leads us to the most important foundational aspect of this whole process. Something you should be aware of is that you are able and encouraged to give feedback to your artist. They want to make sure you wind up with something of which you will be proud—and so do you. The final yea or nay will be on you. If you’re having a difficult time articulating your thoughts, wait until you can. Sometimes it takes a few days or even a week to figure out what it is that’s bothering you about a piece. Sometimes you need to borrow another set of eyes to figure it out. I always show the iterations of my art to an artistically inclined friend or family member during the process because often I’m too close to see what’s wrong. Once I’ve figured out what needs alteration, I put it into words and do my best to communicate clearly. The flipside is that you shouldn’t expect more than a few minor changes along the way. You also need to trust your artist. Let me say that again. This is why doing the research is so important. If you love their style, if they’ve produced works of art that move you and that you wish were a part of your very soul, then you need to trust them to bring that skill to the table. This can be said another way before we move on: don’t micromanage your artist. Once you okay your rough, you’re going to wind up with something that’s 80 to 90 percent finished a few days-to-weeks later. Major changes will take more time (and may cost you more money). The speed and process will depend on the artist, as will the level of patience for your nitpicking. They may give you more opportunities to check in along the way, or they may drop something practically finished in your lap. Either way, keep your changes as specific as possible to avoid wasting time. In the video above you can see a lot of changes that I requested Nimit make, largely with the shape and style of the helmet. The wings on the sides underwent a lot of iterations, as did the shape of the visor. The end result was something with which we were both really happy. After you receive something near-finished, you’re going to be giving them requests that align more with polish. Do you need a shift in the color palette? Perhaps you don’t like the way the light strikes the protagonist’s face, or there’s not enough space left for the title you intended to use. As a rule of thumb I’d say you can go back to the artist with two rounds of requests at this level, and no more. This is a personal challenge on your side: to really know what it is that you want and help guide your artist there as directly as possible. It’s worth it because (a) you’ll get what you want quicker, and (b) they’ll probably be more likely to want to work with you in the future. Here’s my guiding principle in approaching new art: What emotion am I trying to elicit, and does this image do it? You know what also encourages artists to look forward to repeat business from you? Paying them well. If you treat your artist with dignity and respect, as the creative professional they are, you’ll be off to a better start than most people out there commissioning artwork. If you pay them well and don’t gripe about the fact that you’re actually paying for art (shouldn’t they just do it for the sake of the art? ), then you’ll be leagues ahead. These prices can vary widely based on a number of factors, including where the artist is at in their career, demand for their work, their work/life circumstances, and what kind of relationship you have with them already. Even the type of project you’re bringing them in for can have an effect, so keep that in mind. This is also all in reference to original illustration-based artwork. There are plenty of sites out there that will direct you to cover designers who specialize in photo and text-based cover art, or traditional graphic design. Many produce these covers in batch, allowing you to browse and select from pre-designed artwork. If you find one you love, this can be a great way to go, and unless you’re buying something pre-made, these principles all still apply. You will get what you pay for, but at the same time you need to get what makes you happy. If you’re proud of your cover art, you’re more likely to pump your own work and share it like crazy. So don’t let me or anyone else dictate to you what’s good enough. If you love it, go for it. 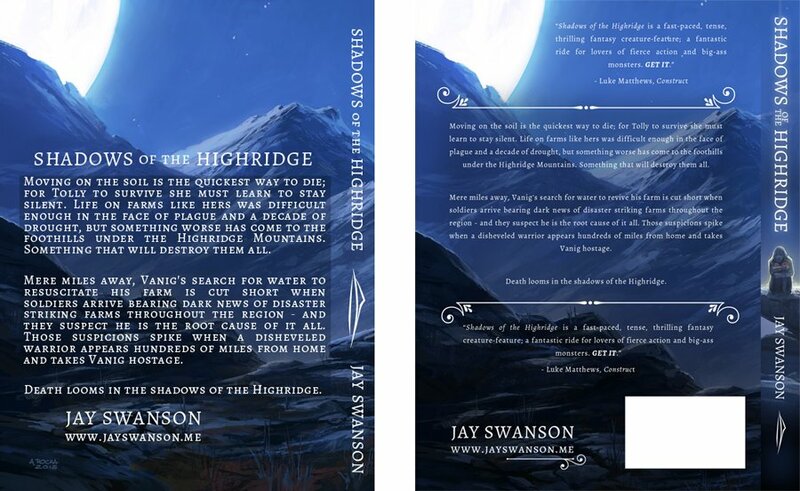 For Shadows of the Highridge I did something I had never done before: I hired a cover designer as well as an illustrator. Andreas Rocha did the artwork, and then J. Caleb Clark came along and asked for a shot at the cover design. I had never bothered to hire anyone for this component, having always done it myself (see below, the left side), and immediately regretted my hubris once Clark sent me his rendition (the right side). He made Shadows look professional. He knew what he was doing, and I’ll never go without his help again. This brings me to the final point, which is to give credit where credit is due. On my website I have a page dedicated entirely to the artists, narrators, and editors that I’ve worked with over the years. I have an Instagram account (@mindofjayswanson) where you can scroll through all of the artwork from Into the Nanten, my book covers, maps, and more. I tag each artist in their work and try to redirect praise to their accounts in comments. And I try to pump them everywhere I go because their success is mine, and vice versa. The only one I missed in this article was Sam Spratt, who is as professional as he is talented. Go hire him if you can break into his insane schedule. If art is an investment in your business, strong relationships and the success of your artists are investments in your future. There are no guarantees that they’ll even like you in the end, but if you do your best to work well with them and pump them everywhere you can and the day comes that they become super out-of-your-league famous, they may grandfather you in on your old prices because darned if they don’t want to work with you again. And isn’t that a great goal? To build relationships along with works of art? Personally, I think it is. If this has got you pumped up on art, you should check out the Kickstarter we just launched for Into the Nanten! There’s tons of art up for grabs as well as some truly unique items you’ll find nowhere else. Posted in Getting Published, Guest Post and tagged book covers, cover art, designers, digital publishing, illustrators, self-publishing. Jay Swanson's latest project, Into the Nanten, is the world’s first real-time fantasy blog following a man in his exile to the world’s most hostile jungle. Its second season was successfully Kickstarted in April 2015. You can sign up for his newsletter (which he only uses for important stuff like book releases, so fear no spam), follow him on Facebook, or find him on Twitter! If you’re on Instagram, Jay’s been posting one photo every day since December 2010—when he first moved to South Africa. A wonderful detailed article. We chose our non-fiction cover designer by browsing Joel Friedlander’s monthly cover design competitions, picking out ones we liked and ranking them. One studio – Damonza – consistently appeared near the top of our rankings, so we hired them and are extremely pleased at the results. 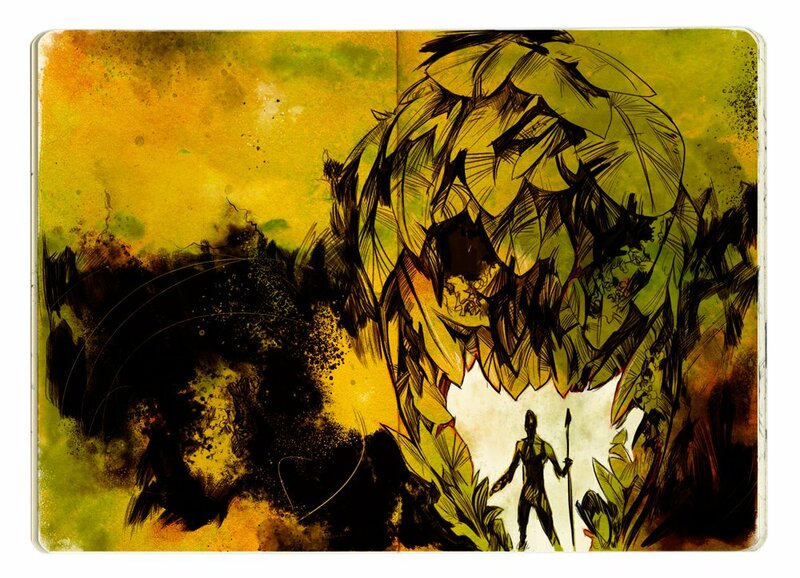 Great guest post about commissioning cover art (and some cool covers!). I would add one more point: be sure to clarify the usage rights involved. 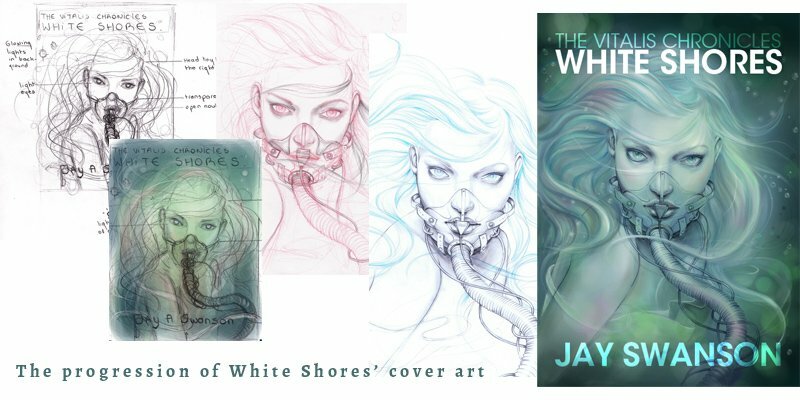 Cover images (with or without final text) can be very valuable to Indie authors for book promotion, email list incentives, ads, etc. Make sure you have a conversation with the cover image creator/provider and come to agreement about this. And make sure you HAVE a written agreement that covers the license, the payment, exclusivity (or not), copyright (creator retains), the usage rights, etc. That’s a great point – you do want to make sure that’s included in your agreement. Usually the artist will only retain the right to display the artwork in their portfolio, which is completely reasonable. Thanks for sharing!